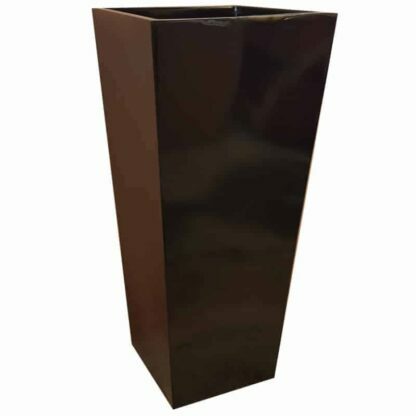 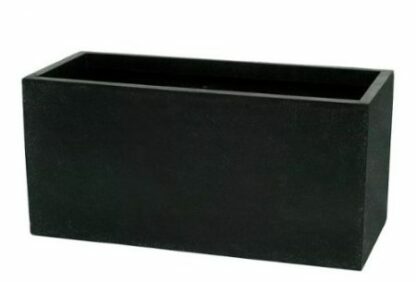 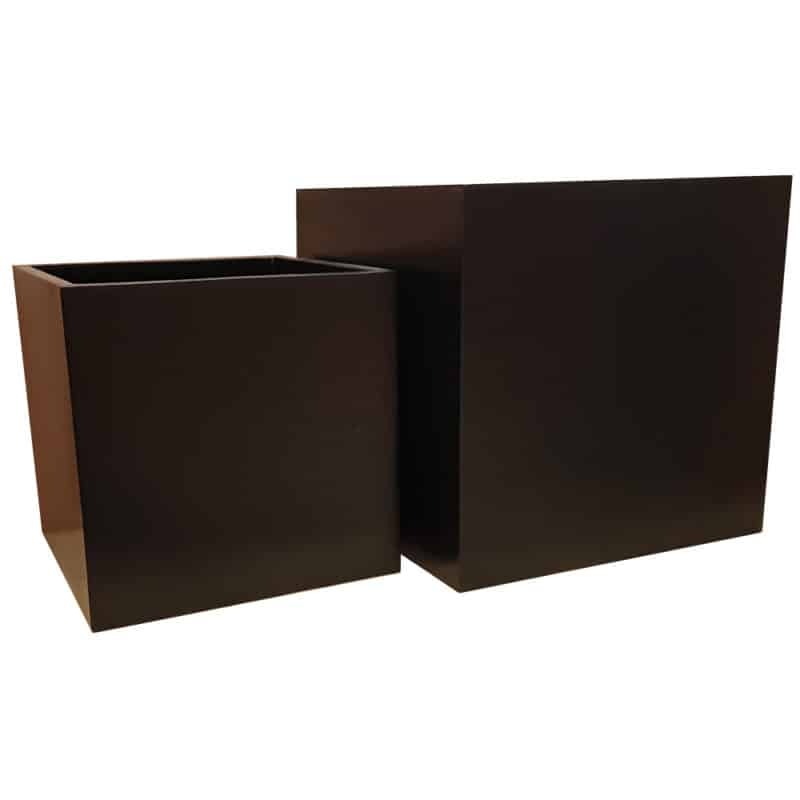 We have broad range of black planters to browse through in matte and gloss finish. Our selection comes in a variety of sizes and shapes including square garden pots, large tall planters and small boxes. 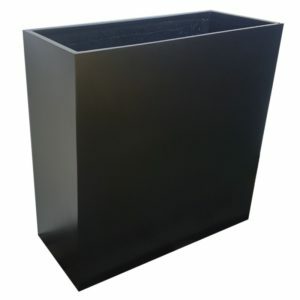 Black window boxes are some of our most popular products. This is due to the fact they fit perfectly into a modern indoor space, such as a kitchen, as well as an outdoor area like a garden or patio. 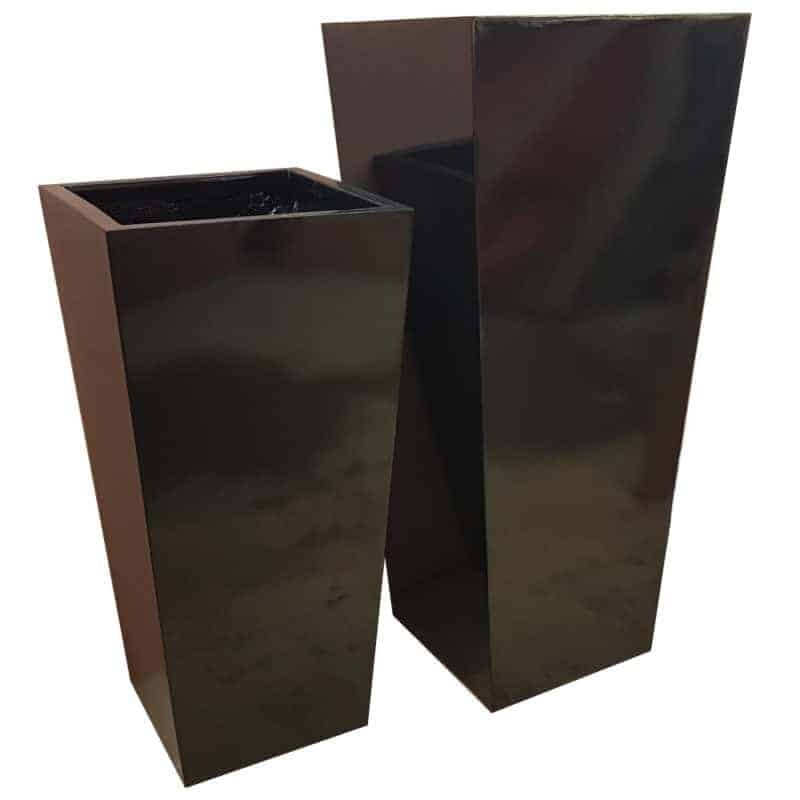 Working well in modern and contemporary spaces, these sleek planters add an element of class to any garden or outdoor space. 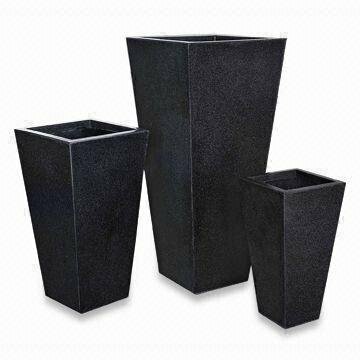 Perfect for commercial projects such as restaurants, hotels and residential lobbies, these planters give a fashionable and current welcome to a business space. 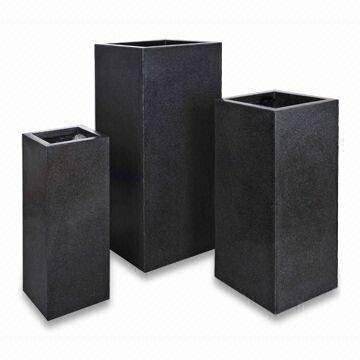 Black is undoubtedly one of the most popular colours, fitting in seamlessly and naturally in all garden environments. 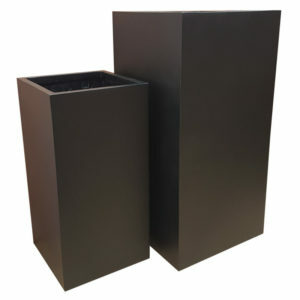 Black does not clash with the colours of the plant and trees, and enhances bright and light colours. The clean lines of these contemporary black window boxes contrast well against the soft contours of box hedging or bedding plants. 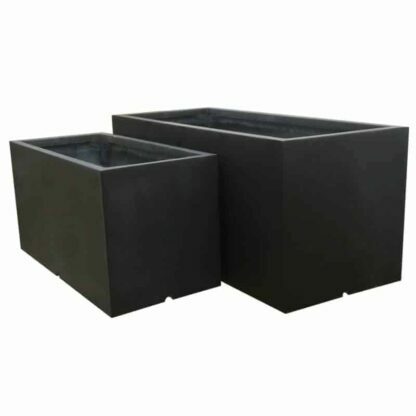 These planters come with a contemporary look having clean lines that will ensure they work with the gentle contours of box ball, hostas, grasses and many more plants. 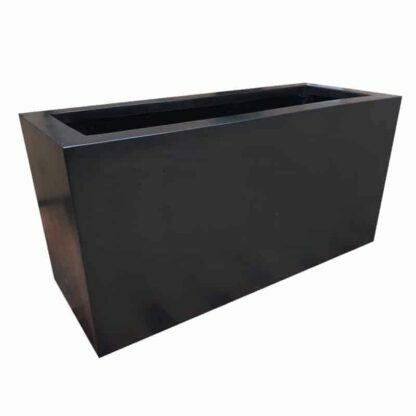 The trough planters are an ideal addition to all gardens and because they are extremely adaptable they fit into any garden. The Black Powder Coat Zinc Galvanized Trough Planter can add another dimension to any garden regardless of the way in which your garden looks. 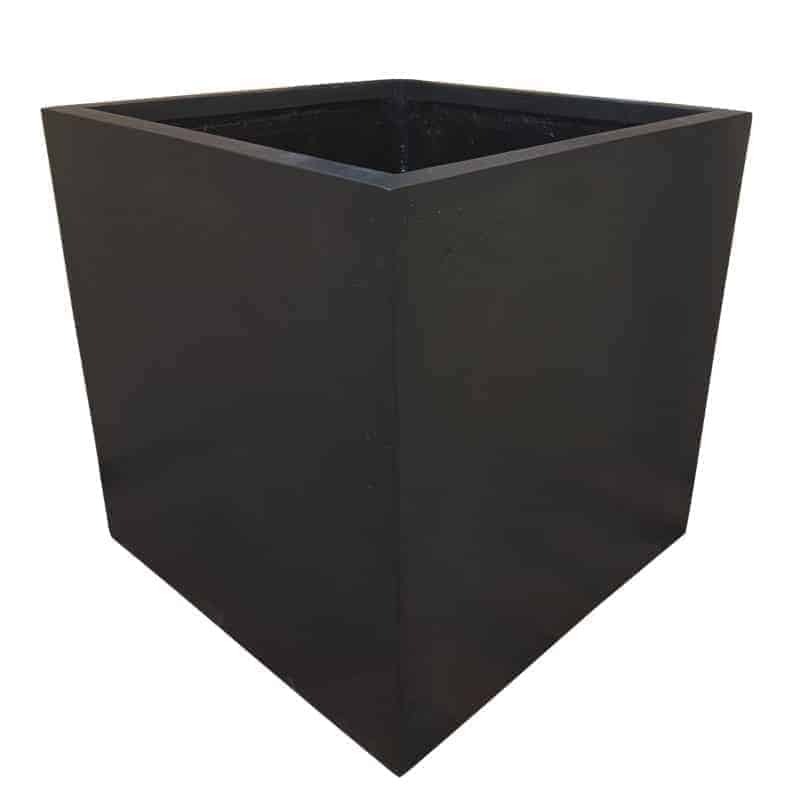 The Black Poly-Terrazzo Cube Planter is the perfect addition to any garden or outside area. 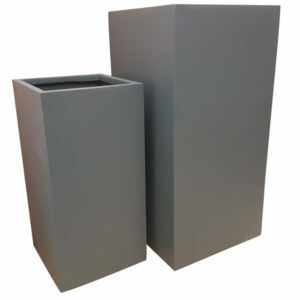 These really make a statement of intent because they are beautifully striking in appearance. For anyone looking to impose a stunning feature on their property these planters are the ideal solution. 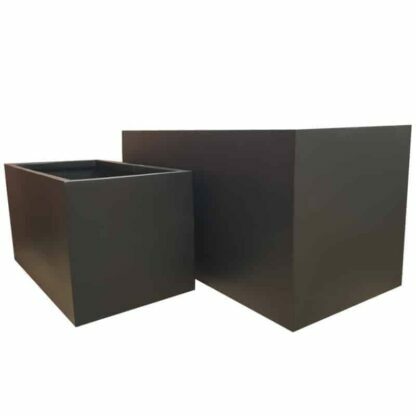 When looking for a focus point in your outdoor space, or when looking for flanking planters for a doorway, cube/box planters are often a good choice. 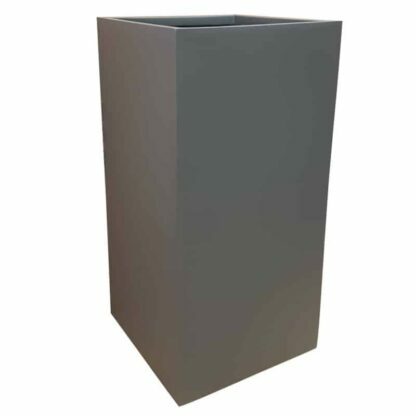 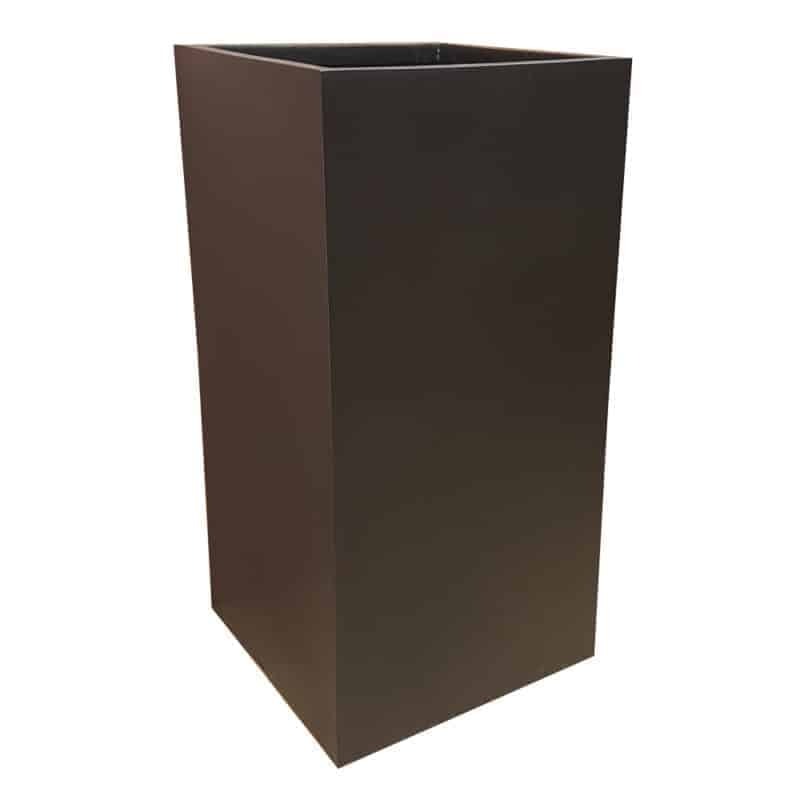 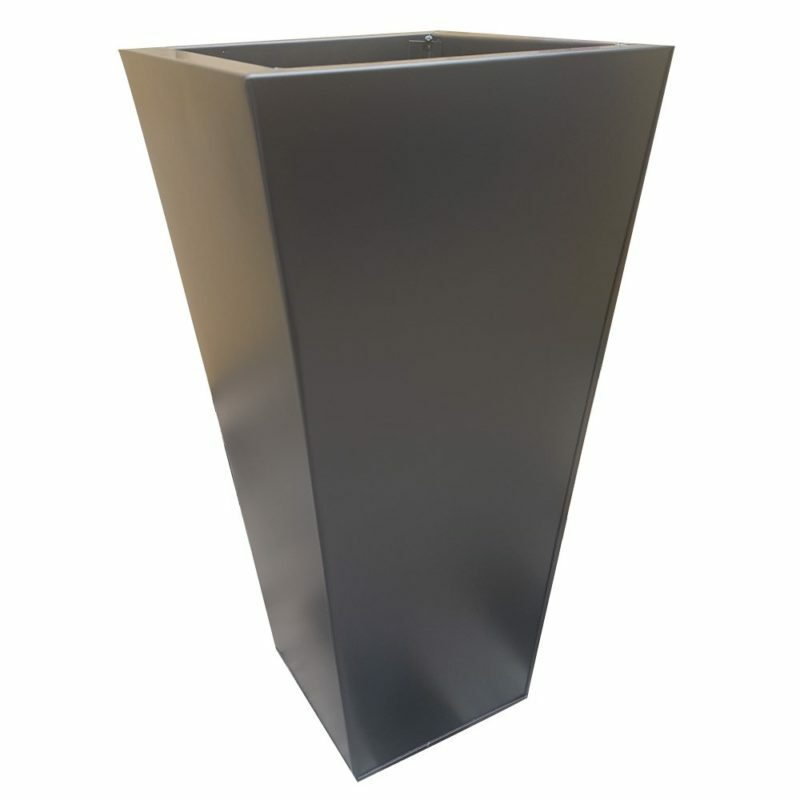 This planter comes in a range of sizes from 40x40x40cm up to 70x70x62cm. If you are looking for something to spice up your outside area then the black powder coat zinc galvanised square tower has it all. This is a planter that will certainly give your outside area that character it deserves. Our black matte trough is designed with consideration of the needs and desires of the everyday landscaper, as well as larger development organisations, to suit a vast and dynamic range of environmental requirements. 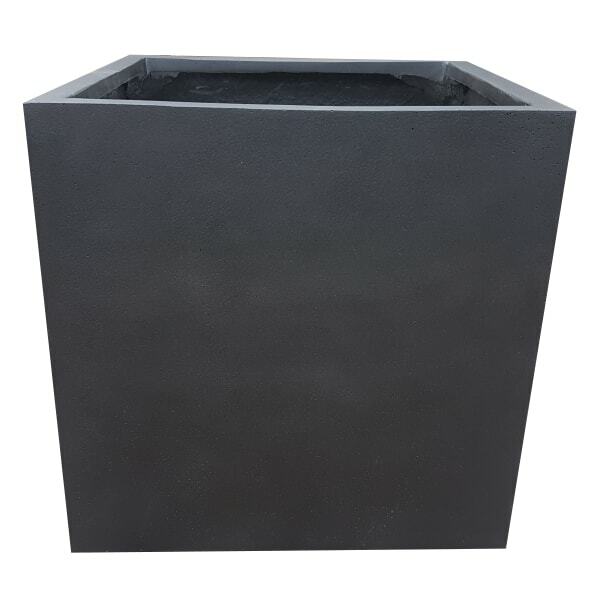 If you are looking to add a modern twist to your garden then the black powder coat zinc galvanised flared square planter will surely bring your garden to life. 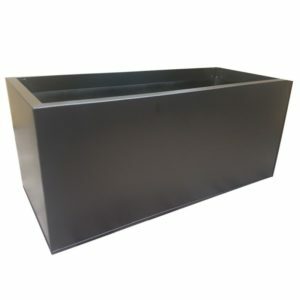 This ‘barrier’ or divider planter is a trough that has been made taller explicitly for this purpose. 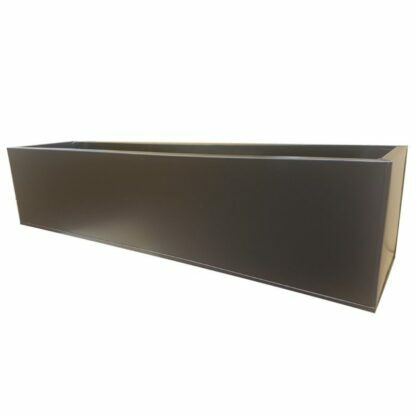 Double the height of a normal trough, it is far easier and much faster to create a natural wall than it would be with your average trough. 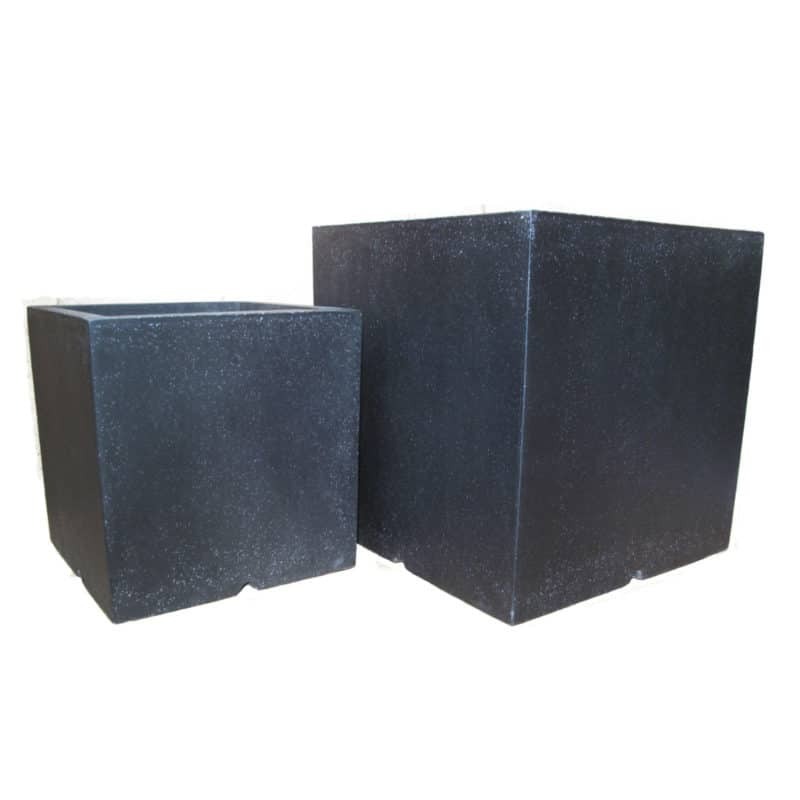 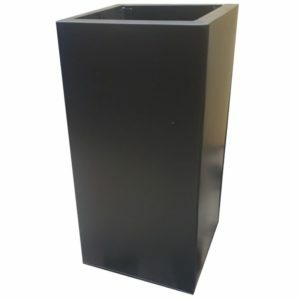 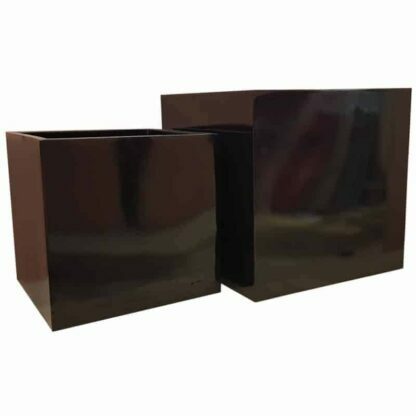 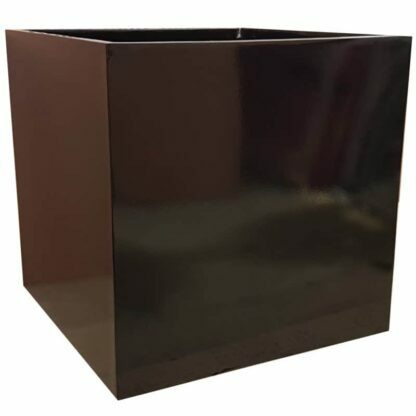 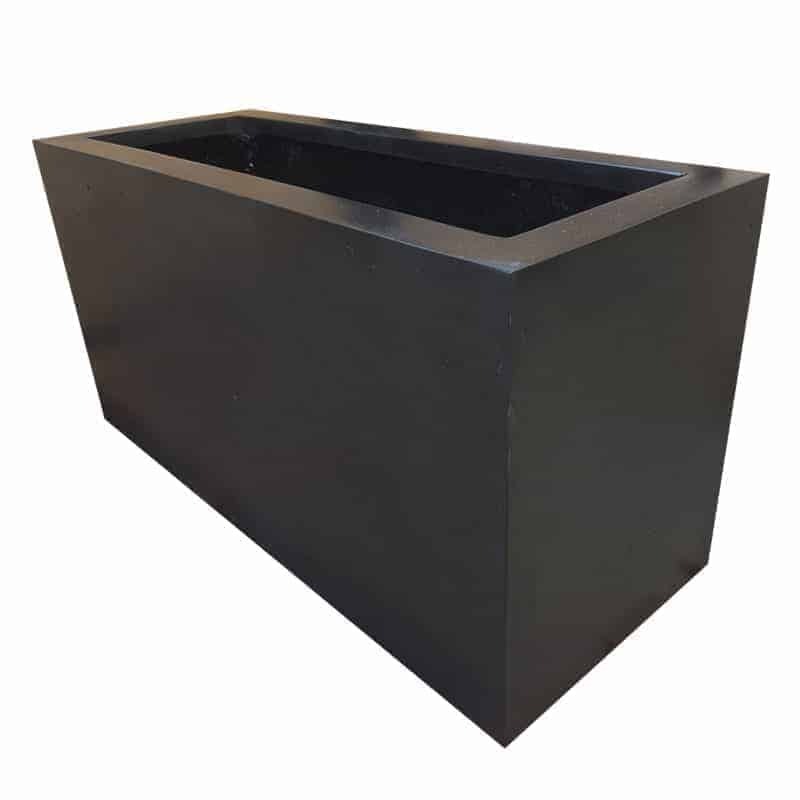 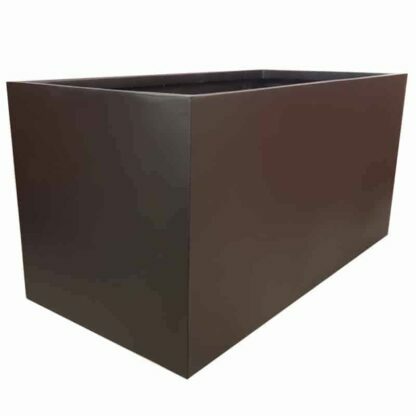 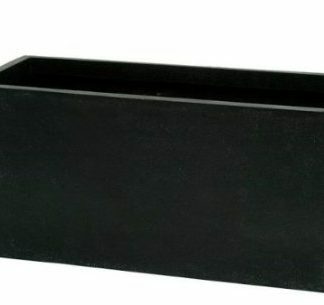 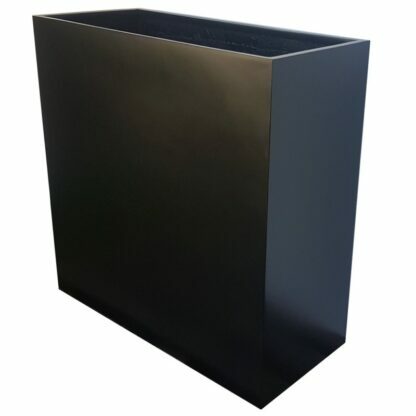 This matte black fibreglass cube planter is designed and manufactured with consideration of the value that commercial as well as casual landscapers place in high quality and reliable products. These black flared fibreglass tower planters are extremely modern in their design. They have been designed with the latest contemporary trends in mind and have been used extensively in the design of luxury hotels and premium residential developments. The matte grey tower, like all the products in our fibreglass range, is constructed with a carefully selected lightweight and durable material. 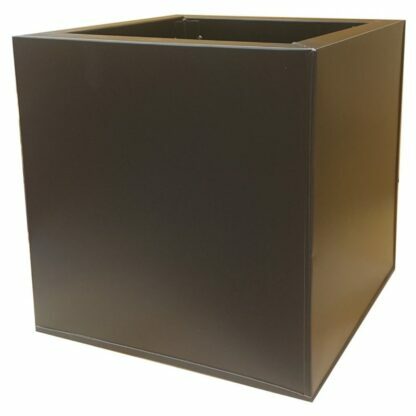 This allows for easy transport, installation, and desired alterations in the placement.